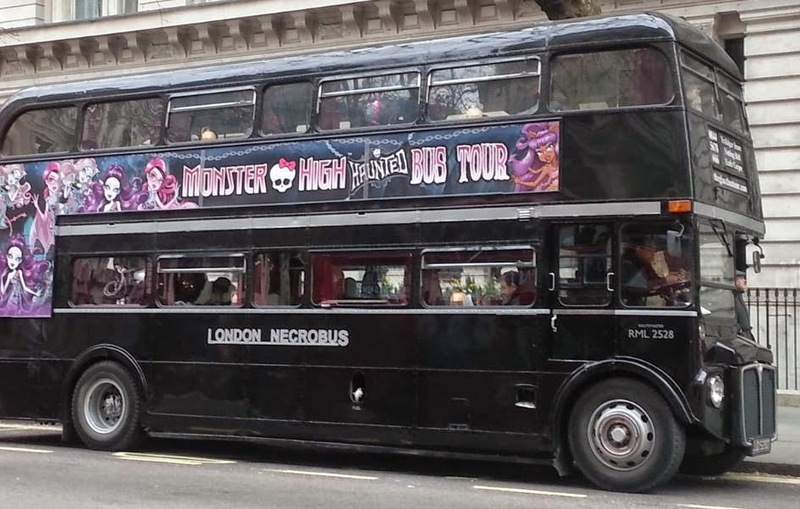 Mum of Five Staying Sane: Our day out in London on the Monster High ghost bus tour & Hamleys tour before watching the new Monster High Haunted movie, released on DVD this week. Our day out in London on the Monster High ghost bus tour & Hamleys tour before watching the new Monster High Haunted movie, released on DVD this week. 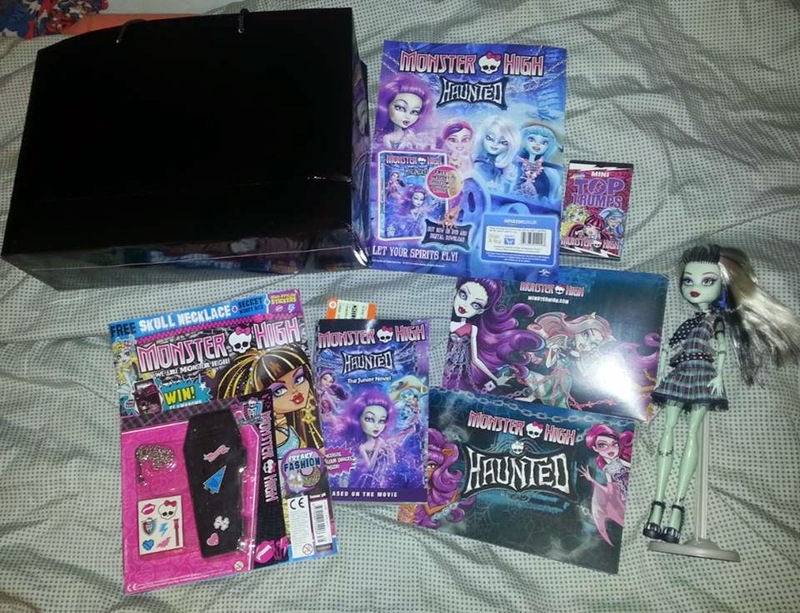 On Saturday myself and my two daughters headed into London to attend an event to view the newly released Monster High Haunted movie, released on DVD on March 16th 2015. 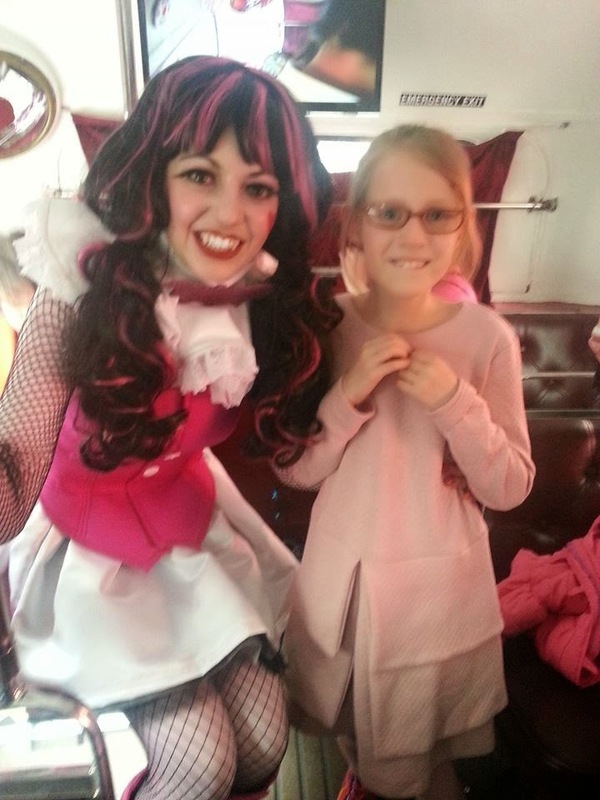 Our day started with a tour on the Monster High ghost bus around London. It was great, the two guides were very informative and we saw lots of different locations and landmarks and received some fabulously spooky facts about different places as we travelled around. The tour guides were dressed up as teachers from the school and at one point we had to get rid of a ghost that had joined us on the bus! The girls thought it was great fun and they learnt a lot along the way. We passed many landmarks in London including the Houses of Parliament, Nelsons Column, The Tower of London, the old site of the London Dungeons, Pudding Lane and lots, lots more besides. It really was a great tour and highly recommended. 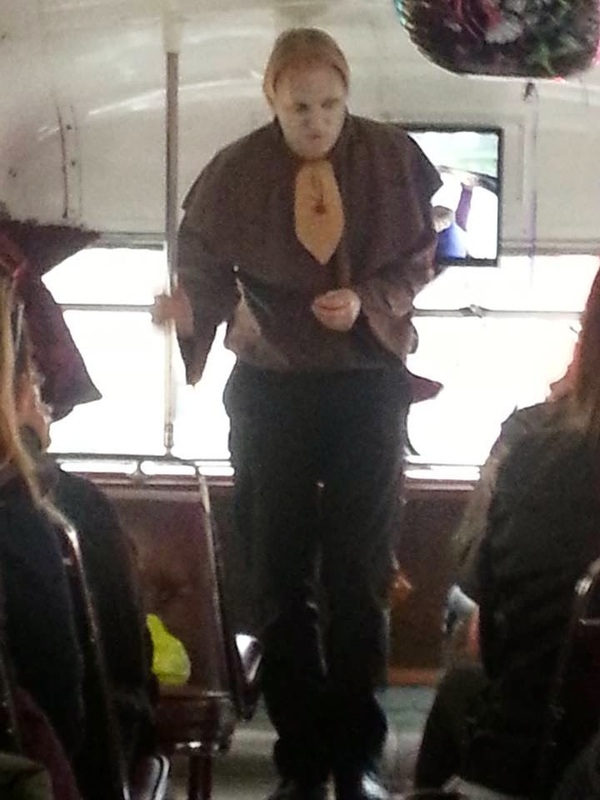 One of our spooktacular tour guides! At the end of the tour we arrived at Hamleys on Regents Street where we were met by Draculaura and Frankie Stein from Monster High. The children were very excited as we split into two groups to head into the toy store. We had a wonderful tour of the store which is spread out over seven floors. There was lots to see and do around the store and our store tour guide was great with the children. The girls had their nails painted, tried out some toys on the shop floor, had their picture taken with Draculaura and Frankie Stein and they were allowed to grab some pic n mix before heading into a party room for the showing of the new Monster High Haunted movie. Thing 4 relaxed down on a big oversized cushion on the floor and settled in with her sweets ready for the film. When the ghouls of Monster High follow Spectra Vondergeist one day, they discover a creeperific Ghost World with an all-spirit school. But their scary-cute student bodies are hardly welcome with the very strict Principal Revenant, and she punishes Spectra with frightful detention chains that prevent her from re-joining Monster High. Now, it’s up to the imperfectly perfect friends to take on ghostly forms in order to save one of their own from disappearing forever! Both of my girls really enjoyed the film. It followed a good storyline that was easy to follow with a good ending too. It was a good length movie for the girls to sit through and as they like Monster High anyway they were hooked from start to finish. 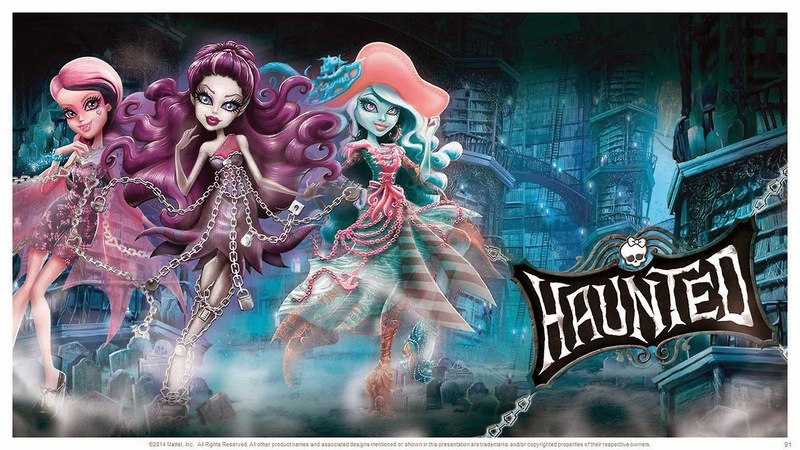 Out now to buy on DVD, my girls would recommend this to all Monster High lovers as a most watch film. Characters in the film include River Styxx, Kiyomi Haunterly, Vandala Doubloons and Porter Geiss plus many more of your favourite Monster High characters too. It was an amazing day out to get a sneak peak at this film before its release this week. There is also new dolls released alongside the film which you can pick up from any good stockists of the Monster High dolls. My eight year old already has her eye on a few of them! Their wonderful goody bag from the day.